Yes. Maisy is here. And y’all, I had NO idea how much work she was going to be! I was a hot mess the first two weeks and am just now getting my world set right again. 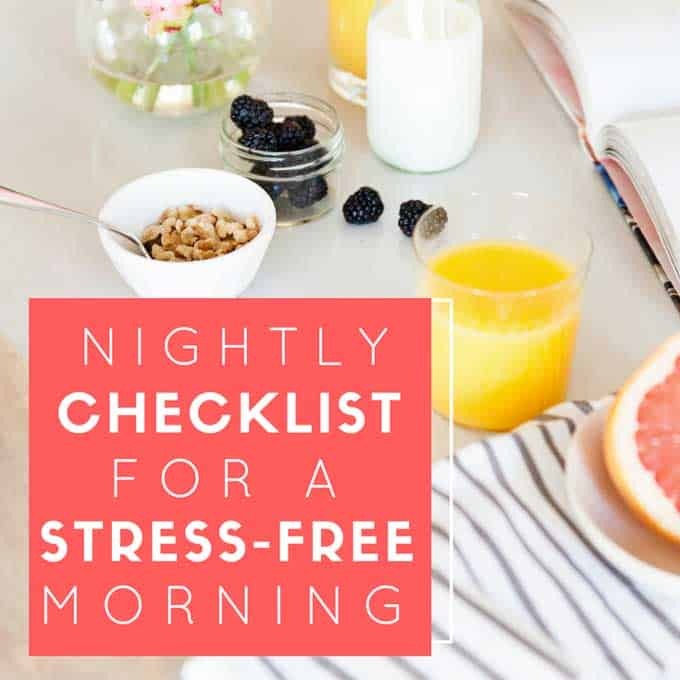 One of the big things I realized while dealing with guests and travel and my kids and puppy all at the same time the past few weeks was that there was no way I could pull things together each day without taking a few key steps the night before. 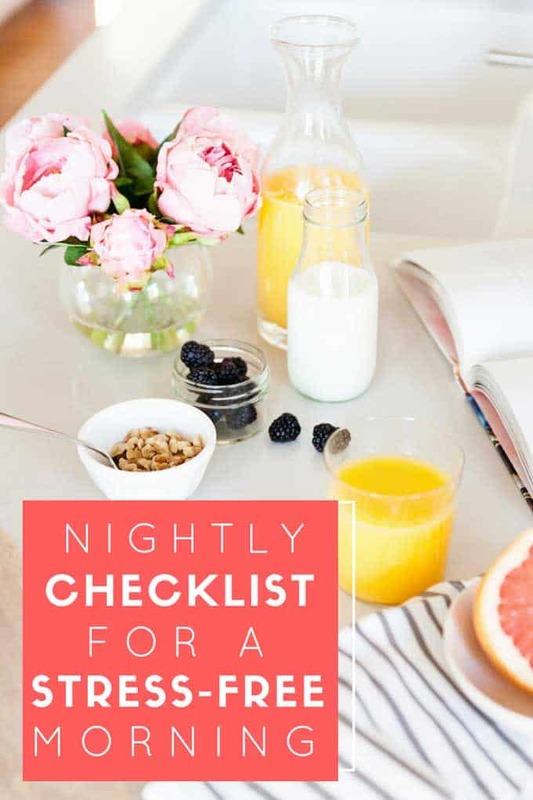 If you ever feel like you’re dodging chaos every morning, try my must-do nightly checklist for an organized home and see if it helps you as much as it helps me! Think about what your family will be eating the next day, do you need to take meat out of the freezer, prep veggies to throw into a slow cooker in the morning, or stop at the market the next day? This, along with meal planning, takes a HUGE weight off your shoulders and helps avoid that crazy “what am I cooking” moment that can sneak up on you about the witching hour! If you’ve been around here a hot minute or two you know that this is one habit that I absolutely cannot live without. Every night without fail I load my dishwasher and run it. Then the next morning I unload it while my coffee (oh how I love my coffee!) is brewing. This simple step leaves me with an empty dishwasher all day so no more stacks of breakfast dirty dishes to deal with. 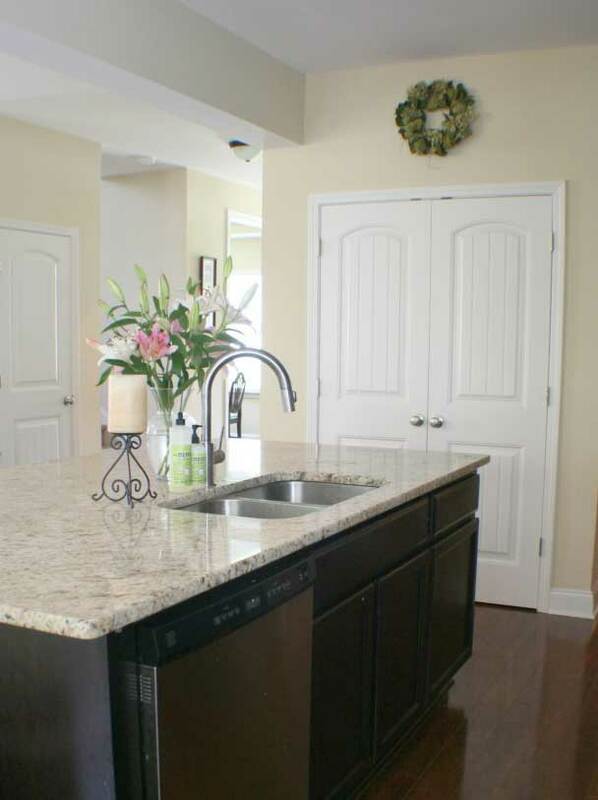 All day long dirty dishes can be immediately rinsed and put in the dishwasher which keeps your sink and counters clean. Ah, the glorious beauty of clean kitchen counters! My husband is in the military so I’m no stranger to him being away which is why I’m a stickler about checking my door locks and setting my alarm when I’m in the for the day. Probably both because we have moved so much and I have lived in areas that I didn’t feel 100% safe, this is a big nighttime step for me. It’s also one of the hardest habits to adjust with the puppy as I forgot to turn the alarms back off the first few times she had to go out to potty at night so the whole family got a surprise waking up! 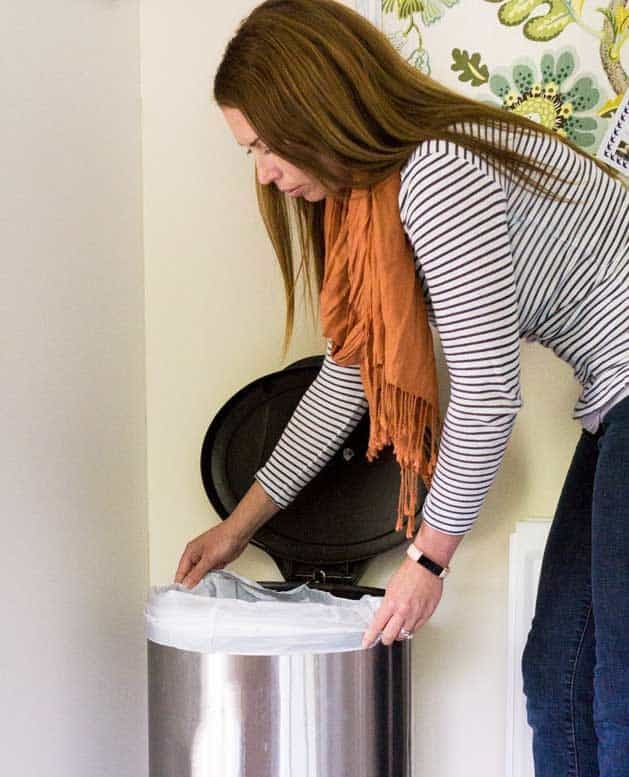 I don’t’ always take the trash out at night but I do check if it needs to be taken out. If it is full or we had something for dinner that will smell not-so-nice by morning, out it goes! I love my Lowcountry Boil but not smelling it in the trash can the following day. If you have kids this one is HUGE! I can’t tell you how many times someone didn’t have clean socks or a sports uniform, etc and it turns into chaos at the last minute when you’re supposed to be running out the door. 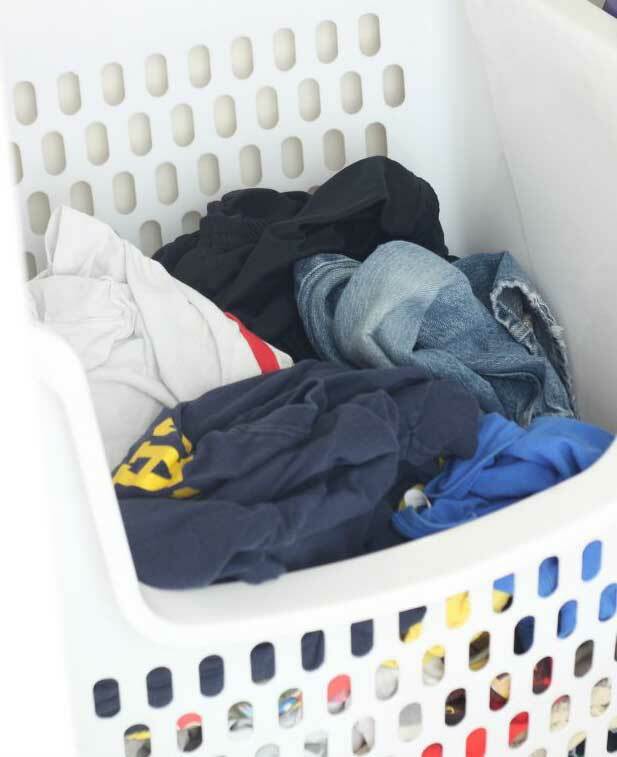 Now I’ve learned, just like with meal planning, to check my calendar for any uniforms that may be needed the next day along with making sure everyone has the clean clothes they’ll need the next day so any last minute laundry can be done the night before. Luckily as the kids are getting bigger I can have them each check their own clothes and report back or start their own laundry if needed, it’s a huge help. Those are the five things I must do every night in order to leave my house in order when I go to sleep and wake up to the best chance of having a smooth day the next morning. Do you have any more nightly items I should add to the list? Let me know in the comments! I swear, I am so tired of cooking every single day, therefore, I make meals for 2-3 days. It helps me to save my time and spend more hours with kids, or take a bath and get some rest. Your tips will also help me to save more time. I hope they help Emma!